Nestle is facing a lawsuit in the USA that claims they have misled their consumers into paying a premium for normal ground water. For a brand that’s positioning and differentiation is all about the purity and provenance of product, this is a huge threat to the brand’s survival. The law suits claims Nestle has been essentially taking ordinary ground water that’s pumped from some of Maine’s most populated areas, rather than from natural springs as the company advertises. Nestle’s brand is built on “100 per cent natural spring water” from a source deep in Maine’s woods. 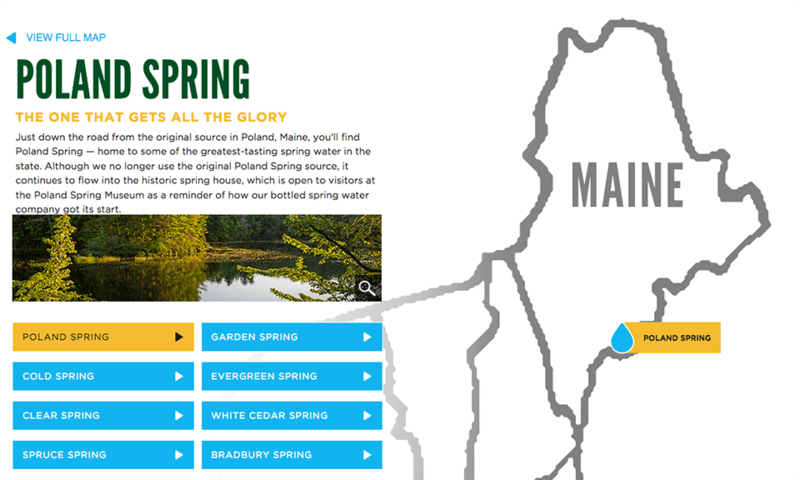 On their website and throughout their marketing collateral, Poland Springs goes to great lengths to tell the story of their ‘100% natural springs’ sources and where they are located. According to the plaintiffs, none of Poland Spring Water’s eight purported natural spring sites contain genuine spring as specified under FDA rules. Worse still, it’s being alleged that one or more of the company’s sites are near a current or former refuse pit, landfill or petroleum dump site. Earlier this year we wrote about the real impact of brand boycotts on the bottom line. The YouGov report showed that 33% of consumers boycott brands and most don’t come back. While there are many reasons that can trigger this, misleading consumers about the product is sure to spark strong activism against the brand. If Nestle loses this battle and they have to admit that they lied or misled their consumers, it’s hard to see how they can keep the brand alive in its current state. Once again, it’s a strong warning for other brand owners and managers. You need to ensure that your proposition is not only compelling but also authentic.